Michelle Lynn Johnson was born on August 29, 1968 in Berlin, Germany and raised in Washington D.C. As a teenager she adopted the name ‘Ndegéocello’ (meaning free like a bird in Swahili). Ndegéocello is self-taught on the bass, guitar, keyboards and drums. She attended the Duke Ellington School of the Arts and honed her skills performing on the D.C go-go circuit with bands such as Little Bennie and the Masters, Prophecy and Rare Essence. 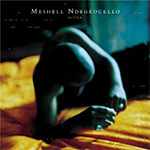 Ndegéocello was the first female artist to be signed to Madonna’s Maverick Record Label in 1993. Her debut for Maverick “Plantation Lullabies” spawned the hit single “If That’s Your Boyfriend (He Wasen’t Last Night)” as well as three Grammy Nominations. 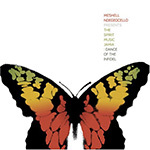 Ndegéocello’s 1996 sophomore, “Peace Beyond Passion” would be released to further acclaim and a wider audience. Though this album would not garner hit singles, it still earned Grammy nominations and is regarded as one of her finest albums by her loyal followers. 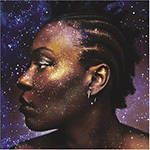 After recording her third album “Bitter” (1999) Ndegéocello began to question Maverick’s support. Maverick did not feel that “Bitter” contained potential hit singles, so were initially reluctant to release it. Ndegéocello’s funky live jam sessions consistently sell out venues worldwide. She defies convention and consistently releases groundbreaking, thought provoking music. Ndegéocello suffers from Photosensitive epilepsy and is susceptible to seizures induced by flash photography when she is performing live. I remember Me’shell Ndegéocello’s gig at the Jazz Café a few years ago (possibly 2002). I couldn’t wait to get some great photographs of her. (As well as enjoy some great music of course). Unfortunately my plans to photograph Ms Ndegéocello were thwarted by her hat (which covered most of her face) and impossible lighting conditions. After just ten minutes into her set she requested that the lights be dimmed even further. My heart sank! Sometimes my tunnel vision does make me appear a little insensitive. I also take every failure personally. At the time I didn’t understand why Ms Ndegéocello seemed to be jeopardising my quest. Of course she had no such thought. Today I believe I have a greater ability to step back and accept that I cannot control everything. I also understand that musicians are ‘human’ and have their own vulnerabilities and strengths which make them who they are.